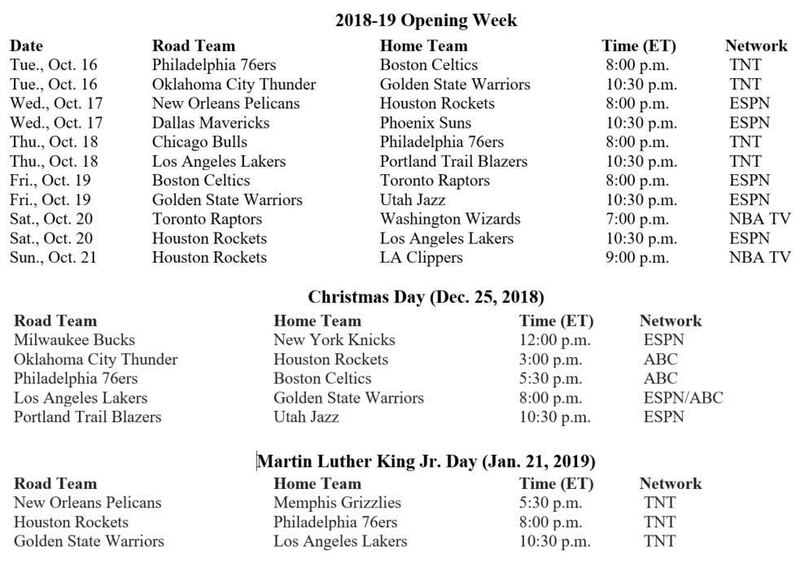 The full 2018-19 NBA schedule has yet to be released, but the League did reveal the opening week slate of games and the marquee Christmas matchups and Martin Luther King Jr. Day games. Opening Week will have plenty intra-Conference rivalries, the best most interesting being Sixers-Celtics and Warrior-Jazz. The Rockets will open the 2018-19 campaign with a back-to-back, albeit two games at Staples. 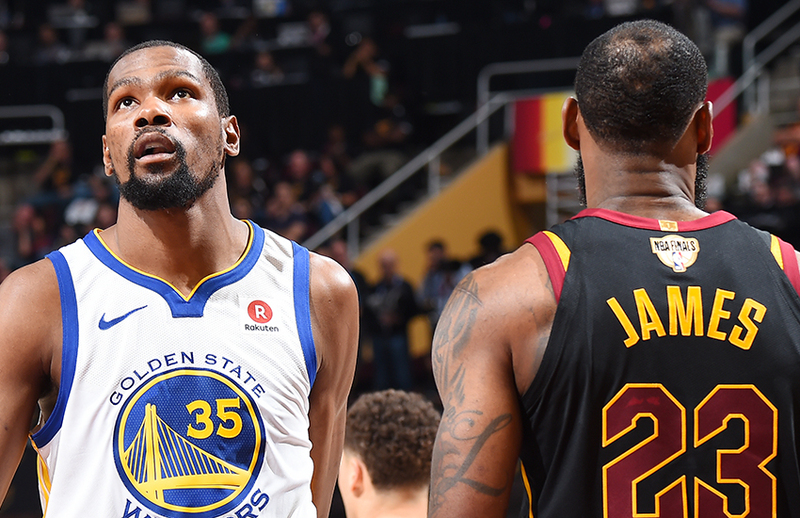 This will be the first time since 2015-16 that the Christmas game won’t feature Warriors-Cavaliers. But we’ll still get LeBron (as a Laker) going up against the defending champs. The NBA usually serves up a spicy reunion of former teammates on Christmas, but they decided against Toronto (Kawhi Leonard)-San Antonio (DeMar DeRozan). In spite of their lack of recent success, the Knicks continue to get a Christmas spot, going up against Milwaukee. We think a Bucks-Pelicans (Giannis Antetokounmpo vs. Anthony Davis) or Bucks-Nuggets (Giannis vs. Nikola Jokic) might be more compelling. This will be LeBron’s 12th straight Christmas Day game. He has not missed a December 25 game since the League expanded the schedule on Christmas beginning in 2007. The Memphis Grizzlies will host the annual Martin Luther King Jr. Day Celebration Game for the 17th consecutive year. The League will be doubling down on Lakers-Warriors on MLK Day. MLK Day will also see a matchup between two possible Conference runner-ups in Rockets-Sixers.